It’s March and while people say it comes in like a lion and out like a lamb, Jagex has saved its bigger updates for the end of the month. As of writing this, the fire making improvements and incense sticks should be out next week, but with that being said, there is still much to talk about. It’s far past time someone shines a light on the poor underclass of RuneScape accounts known as alternate characters, or alts. This month we’ll be looking at what an alt is, how they are used, and how they affect the game whether you have one or not. I’ll also be giving some pointers on the best methods to get an alt up and running and working for you. Let’s start at the beginning though with what is an alt, how are they used, and what kind of players tend to have alts. An alt account is basically a second RuneScape account, although a player could have more than one making it their 2nd, 3rd, or 4th account. The account that has the most time/stats/achievements, or dare I say love, is known as your main. This is the one you show off and make sure is dressed to the 9’s. Meanwhile, a person’s alt often looks like a beggar standing in the old varok GE asking for 50K because they just got hacked and just need to get back on their feet. The reason for this is that alts have specific purposes for those who have them. They tend to be used for a couple of primary purposes. The first and most popular one is to be a little moneymaker. The second is to use an alt as a resource gatherer for the main. In the old days of RuneScape, there were also what was known as pures, which were usually alts as well and used for pking. There’s not much of that anymore so pure alts are all but extinct now in RS3. Finally, the players that have one or more alts are primarily RuneScape only players. That means RuneScape is the game they are playing 90% of the time. They may play a round of League of Legends or Overwatch but it never interferes with their true love, RuneScape. The question remains, however, how does this affect the game? The effect alts have on the game isn’t easy to quantify. The fact is we don’t have enough empirical data to draw direct conclusions. What we can do is discuss the likely effects they have now and the potential effects they could have when mobile is fully released. For the most part alts don’t have a large effect on the game in general; however, where I suspect they have the most impact is on the game economy. It is a complicated issue to unravel though having both good and bad effects on the economy as a whole. First, let’s look at the good. Most alts don’t pay for membership outright. They tend to use bonds to either pay every couple of weeks or save up through the year and buy premium. This is great for the bond market. Without alts, bonds would be in less demand. That being said the recent rise in bond prices in real life has raised their in-game value thus making it much harder for alts to sustain themselves and make money. From a corporate perspective, alts are great. Every alt that has membership in one way or another represents money Jagex has made. Therefore, they do help the bottom line. We also can’t overlook ironmen as well. 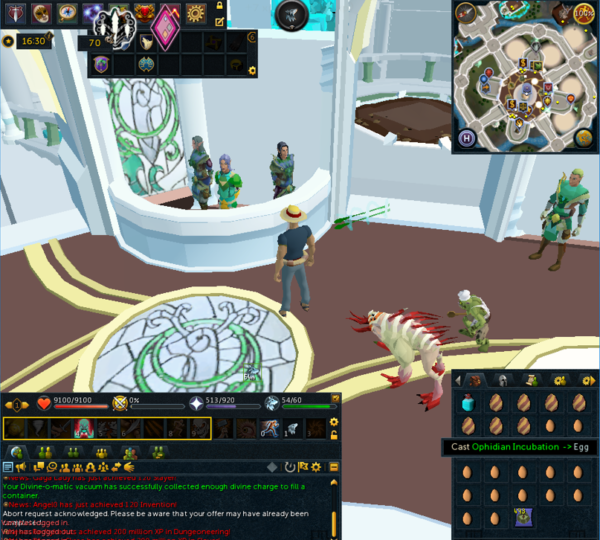 They are typically a second account and although they differ from a traditional worker alt, they’re still a form of alt allowing the player to have a unique RuneScape experience. There are some downsides to having large numbers of alts in the game. First of all, alts do the jobs mains don’t want to do or have time for. 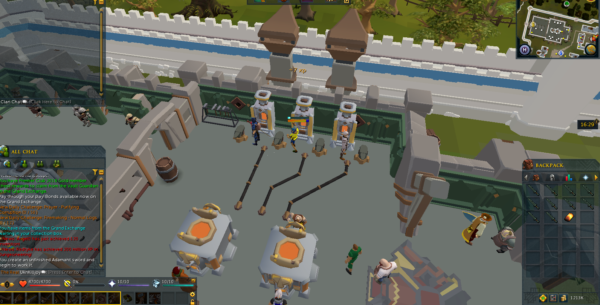 While this is ok for a resource gathering alt that is just gathering resources that will be used by the main, the money making alts do have an effect on resources in the GE. Essentially, they are keeping prices on skilling items low. Mining and Smithing are good examples of this. The numbers of people engaged in the rework weren’t anticipated and have led to lower prices on ore than was predicted. That’s not the fault of Jagex; if anything they’ve been a victim of their own success. The reason for this is alts need afk ways to make money. Naturally, that means most of the best skilling moneymaking methods are perfect for alts with the exception of Runecrafting. Cutting elder logs, gathering divination energy, mining and smithing are all good examples. It’s a similar issue as RuneScape has had in the past with bots keeping the price of resources low only this time bots aren’t needed, everything is afk anyway. One criticism of this argument is how much can an alt even make in an hour anyway? Isn’t this much to do about nothing. Well, not really. Yes, an alt may only average between $800K-1.5M an hour but multiply that by 2, 3, or even 4 and now all of a sudden it’s real money. Playing four accounts may sound mad now but I know people that do it and it’s only going to get easier with mobile. So how do you get in on this you may ask? The best way to get an alt started is with a Refer a Friend (RAF) account the night before DXP weekend. Not only does this boost your mains that weekend but it boosts the alt as well. 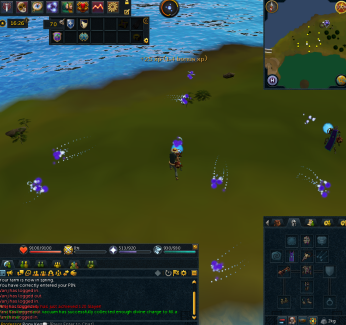 Then take your alt to RuneSpan and do as many runespheres as you can. Four is enough to get to level 50, which is what you need to do vis wax, which is an important money making daily task for your alt. Speaking of dailies, they are very good for alts and can almost sustain an alts membership by themselves. It may take just a little time and effort but it’s worth it. Doing quests like As a First Resort and Smoking Kills can unlock broad arrowheads and sandstone for potion flasks, both of which are good daily money makers. Fremennik Trials, Kingdom of Miscellanea, and Royal Trouble are also good ideas that will let you gain access to your own kingdom, which will provide you resources, and daily yak hide runs. Other ideas to put your alts to work are cannonballs. Yes, it’s not much gp per hour but its total afk and couldn’t anyone use an extra $800K an hour? It will require Dwarf Cannon but that’s easy. At level, 63 summoning you can make spirit cobra pouches and ophidian incubation scrolls. What this does is turns a regular chicken egg into a cockatrice egg making you a cool $900K-1M an hour. Of course, the more time you put in your alt the more you’ll get out. If you’re dedicated, you should try to get your alt in Prifddinas. I know it looks like a lot of requirements but the skills are pretty easy to level up especially if you catch a spring fair or beach event. Then you just have some quests to do. The Holy Grail for an alt is to get 90 divination and 101 invention in order to do divine charges with the divine-o-matic. 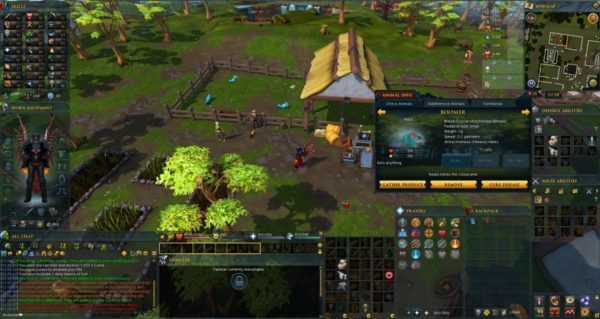 However, even 90 divination is enough for incandescent energy and you’ll be surprised how fast you can get there from just Guthix caches. The Holy Grail for a resource gathering alt is to get your player owned a farm up and going. This is extremely fast and when you get to dragons, you can easily set your alt up as a breeding farm allowing you’re main to stockpile beans for a later date. There are many, many more ways to make money or gather resources with alts and most aren’t any different from what you would do on a main only slow and kind of boring. Alts are here and they are here to stay. No wall is going to keep them out and in many ways; they are good for the bottom line. You will probably notice an influx of alts when mobile releases in full. It does hurt the casual skiller who just has one account but there’s no turning back now. This is the natural progression that happens when skilling methods become more afk. Just remember the next time you give someone grief because they aren’t talking to you they’re probably not a bot they are most likely an alt that has a job to do and no time to chitchat. Until next time, Happy RuneScaping.